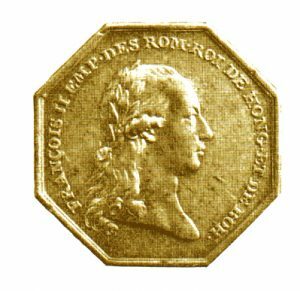 Figure 1: Commemoration Medal for Volunteers of the Dutch Provence, 1794, obverse. Image form the author’s archive. This medal was issued by Francis II as a reward for Dutch citizens who had volunteered to serve in the allied forces or who had rendered support to the Austrian Army in the war against the French Republic The Coalition army’s Austrians together with a small contingent of allied Dutch Republic troops repulsed all French assaults after which the French conceded defeat. The French position in the Austrian Netherlands swiftly collapsed, ending the threat to the Dutch Republic and allowing Austria to regain control of her lost province. Reason Issued: As a reward for Dutch citizens who had volunteered to serve in the allied forces or who had rendered support to the Austrian Army in the war against the French Republic. The gold medal was given for bravery and the silver for merit. Design: An octagonal medal with an attached ball shaped suspension eye at the top. Obverse: The bust of Emperor Franz II, Facing to the right, with a laurel wreath on his head. 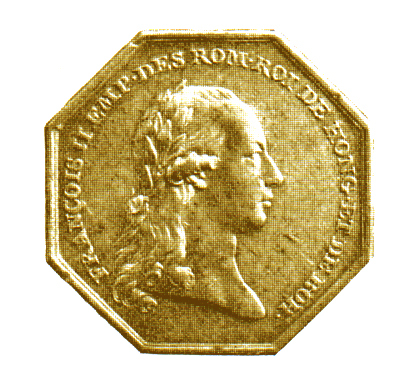 Inscribed FRANCOIS II. EMP. DES ROM. ROI DE HONG. ET. BOH. Translation Franz II. Roman Emperor, King of Hungary and Bohemia. The medal is octagonal, the edge is raised and inside it is a fine line, which follows the edge of the medal. Reverse: An inscription in six lines: POUR / SERVICES/ RENDUES / AUX / ARMEES / MDCCXCIV, translation for proven services in the army 1794. Around the inscription is a laurel wreath, which is tied at the bottom with a ribbon. Figure 2: Carmen Red Ribbon of the Commemoration Medal for Volunteers of the Dutch Provence, 1794. Image from the author’s archive.